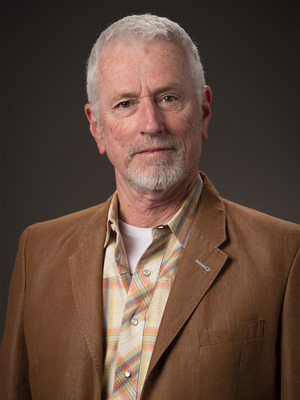 Associate Professor Michael Kelly Bruce began dancing with Harriette Ann Gray in a movement-for-actors class at Perry-Mansfield in Steamboat Springs, Colorado; he spent the next five years working with her. After a year in Holland working closely with LucasHoving and performing with several Dutch companies he moved to NYC, working with Anna Sokolow, Mary Anthony and Fred Mathews. From 1974 through 1981, he danced with the Repertory Dance Theatre (RDT) of Utah, working with many choreographers including Lar Lubovitch, Douglas Dunn, Bruce Marks and Mathew Diamond. He has performed the works of Ted Shawn, Doris Humphrey, Helen Tamiris, Jose Limon, and Viola Farber. He has served as a guest performer and choreographer with companies across the country; as co-director of The Coast in San Francisco; and as a faculty member of workshops, colleges, and universities including Perry-Mansfield, Harvard Summer Institute, Mills College, Southern Methodist University, and Texas Christian University. In Columbus, he worked extensively with choreographer Victoria Uris. MKB teaches Kinesiology for Dancers, Floor Barre, Pilates Matwork and Reformer, Repertory and Choreography. His Pilates certifications are through the Stott Pilates International Certification Center and the PhysicalMind Institute. MKB has won the 2015 President and Provost award for Distinguished Faculty Service at The Ohio State University.